Well, this doesn't have to go in the Karma thread...I'd insured the darn thing. When the man came today I thought that he'd clean me bulb, bollock me for the dust (we have a carpet. That's rare here) and be on his merry way. It was all to do with Ppruners talking about the black levels of their tellies. Mine was [email protected] Fantastic picture, but no real blackness. After getting a call at O7:sparrow's fart...(who made that up?) he turns up and seems to agree with me that there is residual light. He phones a friend and exchanges endless numbers re contracts etc., before saying. The screen has a blue tint. In my day, we had to dust the rotating disc and forty watt lamp. Now they're sending a light engine. I know that it's coming in a big box, and I'm not to open it. OMG!!!! It'll be like being a child before Christmas. An exciting box and forbidden to look inside. Maybe just a little hole and a fiber-optic camera. I want to know what a light engine looks like. Will it have pistons and a carb? Will it need topping up with oil? One waits with baited breath. Oh dear! One is not so sure it's funny now. Last edited by Loose rivets; 4th Feb 2009 at 15:43. After getting a call at O7:sparrow's fart.. Probably a fancy name for a fancy fluorescent light. 'Crack of Sparrers' is too much of a name for a tube of glass filled with gas. I want to know what a light engine looks like. Will it have pistons and a carb? What I want to know is, why if it's a light engine, is it going to take 3 weeks to get here. A Light engine is a railway locomotive on it's own that has no wagons or carriages behind it. Though how this makes a TV work I don't know!! why if it's a light engine, is it going to take 3 weeks to get here. Wrong sort of snow/leaves/weather too hot!! If you open the box and it's not switched on, how can you see it? Location: Thinking about it, give me a minute. Scottie I need more power..
Scottie I need Warp factor 10 and I need it now!.. Actually thinking about it didn't the Reliant Robin have an extremely 'light Engine'? I seem to recall it could be lifted from the vehicle without mechanical aids! Loose Rivets. Please take a photo of the 'light engine' when it arrives and post for all to see. Yes, it's all alloy and the average driver weighs more than the engine and gearbox. Having said that, it's easier to lift the car off the engine. You are exactly right, soon as I posted I wondered if anyone would recall that it was easier to lift the car off the engine. Did it once with a Reliant Regal nifty wee thing with a 75occ all alloy engine. Propped the car body up with a bit of 2by4 and carried the engine and gearbox into the spare bedroom where I did a rebuild on the engine! 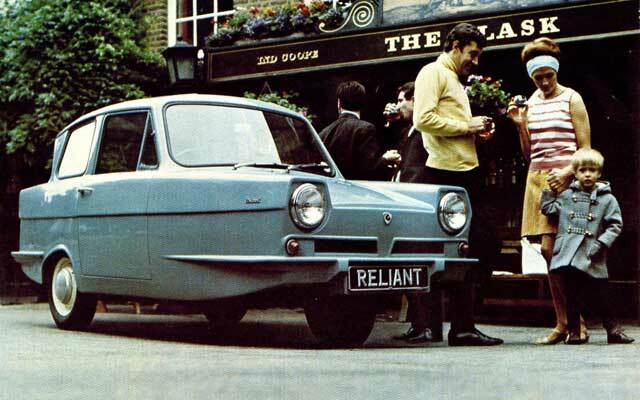 Why, do you own a Reliant? I did provide half the lifting power once to remove an engine and gearbox from a car, the other half of the lift being my mate, the car owner, on the other end of the bit of wood (bit of 4X4 timber and a couple of towropes was the lifting tackle). That was a Rover 3.5 engine and box though. And definitely wouldn't want to do it again. I once saw a burned-out Reliant. One wheel rim (no tyre) with a few suspension bits then just the crankshaft and con-rods then the gears from the gearbox (including the gearshift rods), prop-shaft, pinion and crown-wheel, differential, half-shafts and two suspension springs and two wheel-rims. Steering box, column and steering-wheel, seat frames and that was about it - the rest had been reduced to ash . . . nothing higher than the wheels, the rest laid flat on the ground along with the exhaust pipe of course. I looked like an 'exploded view' drawing from Motor or Autocar magazine. 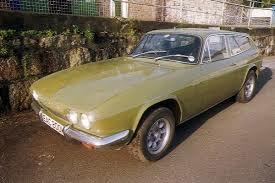 The Scimitar was a pretty good beast, why wouldn't you tell anyone about that ? Is it not a "dark" engine? Hmm. If what was wrong with your screen was the lack of black, how would a light engine help? Seems to me it generates light, and you already have too much of it. OTOH do not, under any circumstance, open the box as all the generated light will escape and you will need to have a new one shipped. Not that one, this naff thing.